Manuel R. of Spain Manuel contacted Best looking for a replacement Impossible to find PAL MegaSTE internal Keyboard Mylar (Atari made one has a close to 100% failure rate) for his Atari Midi Studio. The Best Exclusive better made NTSC and PAL MegaSTE / TT Keyboard replacement mylars have a Zero Failure rate based on selling them for the last 15+ years to world wide Atari MegaSTE / TT owners. "I have already received the Atari Keyboard Mylar. All perfect. Superb packaging! Thanks for the information of your products. A greeting from Spain and thank you for everything." Dewey K. of WI Dewey ordered a new Best Mega 2 replacement Keyboard cable to replace the used one that was in bad shape on his just received Atari Mega 2 computer. He also ordered a new Best ST True mouse. "WOW!! I am very happy with the service I have received. You answered my questions, helped me through the ordering process, and shipped my order quickly. The keyboard cable is a great replacement for the old one. I really like the TrueMouse. 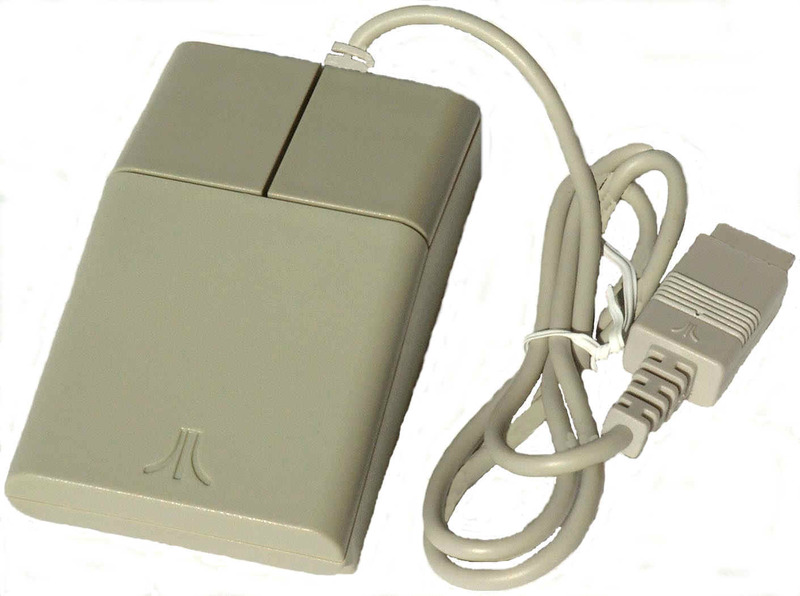 It� much better than the Atari mouse!" 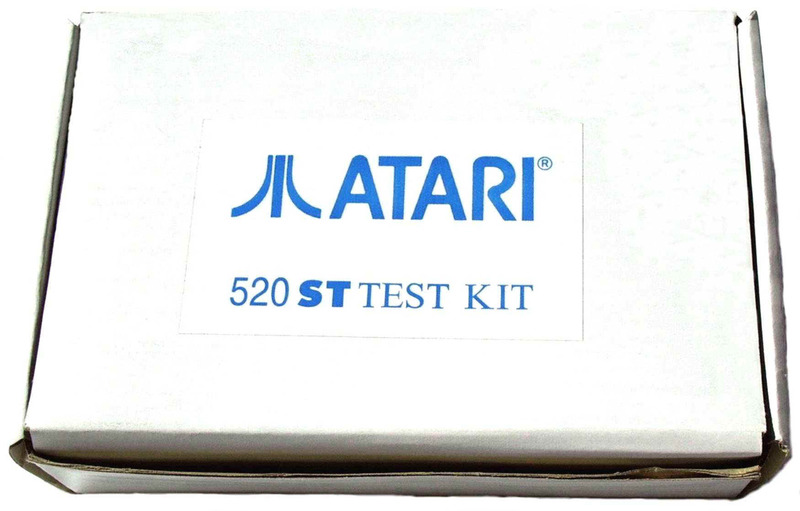 Depending on the exact version Atari ST Diagnostic Cartridge used with the ST loop back hardware test board, you can choose from the ST Diagnostic display menu to run between different ST Diagnostic tests one at a time or our 27+ year Atari Super Tech�s standard 12 to 24+ hour continues Burn in loop that he tests all ST computers with. Typical Atari ST Diagnostic tests you can run using the different Atari ST Diagnostic Cartridges and Loop back external Hardware, upon boot up displays ST TOS Rev., Total ST / TT Fast Ram, Keyboard I.C. Rev. level., 5 ST Ram Tests, 7 ST internal Chip set timing Tests, if present 14 Blitter chip tests, if present 2 Real Time Clock tests, Audio tests, OS ROM Test, 2 Printer Port I/O Tests, Color and Monochrome ST display tests, 3 Keyboard tests, 5 Mouse and Joystick port tests, 12 RS232 / Serial / Modem I/O port tests, 50 / 60 Hz display toggle, 17 Internal or External Floppy Disk Drives tests, 4 DMA I/O port Tests, 2 Parallel port I/O tests, 5 Midi Send and Receive Tests. 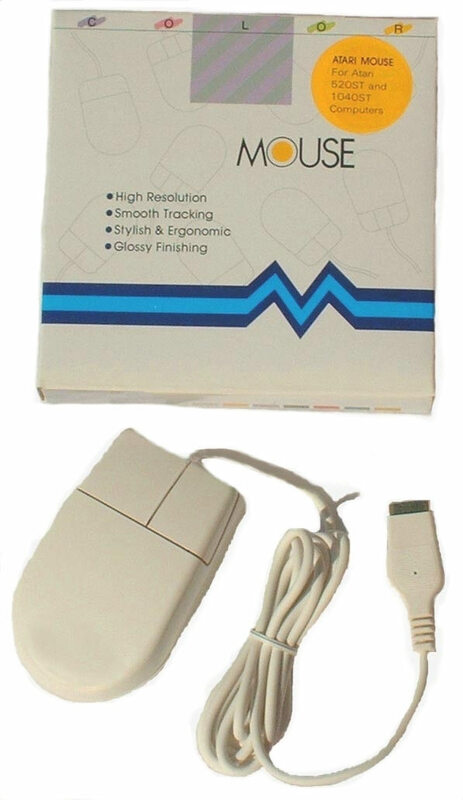 The best way to fully test and burn in any unknown condition or repaired Atari ST computer. Atari Tech Tip on the Loopback ST PCB board. Our Atari Super Tech strongly recommends you tape the anti Static pink bubble bag the Loopback board comes in (or tape a piece of thick and oversized piece of cardboard) to the exposed back side / solder side of the Loopback PCB board, to prevent it from shorting out / damaging the different I.C.�s on the top side of Loop back PCB should the back side of the exposed PCB come in contact with any metal. TT Serial 1 + 2 and Modem 1 + 2 ports Shorting Plug. 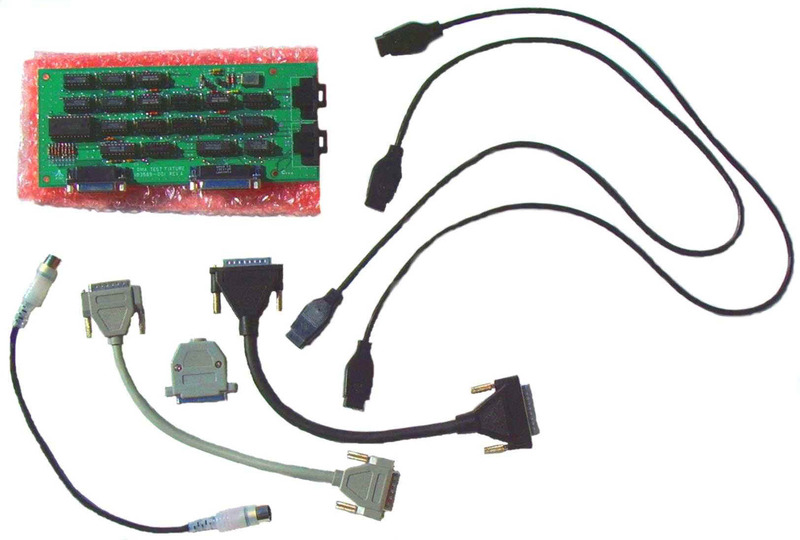 Four shorting plugs total required for above TT Diagnostic Cartridge, SCC / LAN Port Test. CB102801 $8.00 ea.